I had an excellent experience with Downeast Toyota. 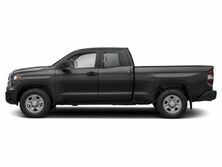 My initial contact was with their web chat service which lead to a call to review the details I was looking for in a new truck. They set me up an appointment for Saturday at 10 AM and I was driving home in my new Tundra by lunchtime. Great communications, fair price and excellent customer service ... . I recommend Downeast if you are looking for a great car buying experience. Thanks to Ryan, Anthony and the rest of the team. The truck is fantastic. I recently moved to Salsbury Cove and was searching for a local auto dealership. I couldn't find the right deal or car I was looking for so my daughter suggested I try Downeast Toyota. So glad I did! Great people, Ryan Witham and Brian made sure they listen to the customer and found me the right car for the right price! They made me feel like I ... just found some new friends. Thanks Again! Simply put....I love my new car. My husband was happy with the negotiations and customer service to get the best price! 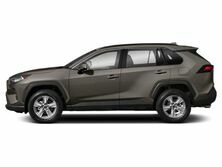 Excellent experience with Downeast Toyota - start to finish. Simple, friendly, helpful, not pushy, informative - all that you want in a car buying experience. I had done a lot of research and knew what trim level 4runner I was looking for. We worked out some wheel/tire options and before we had to talk about pricing, Ray said they would see what ... pricing they could offer. My wife and I had a competitive number in mind and Ray came back with that exact price. We didn't even need to do the back and forth that is usually expected! Got a great vehicle, just the way I wanted it, for the price I wanted to pay. 5 stars to Ray, Kevin, Chrystal and Anthony and all the others at Downeast Toyota. We'll be back! For professionalism, service and selection there is no better place to purchase a vehicle than Downeast Toyota in Brewer. This was true when I purchased my Tacoma some 12 years ago and once again I had a great experience this fall with the purchase of my Rav4 Hybrid. My sales associate, Dean Craig was helpful and extremely knowledgeable. The entire ... experience was great and I highly recommend this a the best place to both purchase and service a vehicle. All roads lead to Downeast Toyota, one of the largest Toyota dealers in Maine. We are a new and used car dealership that has been proudly serving the greater Brewer and Bangor, ME community since 1966. Whether you are searching for a dependable car, hardworking truck, spacious SUV, versatile crossover or a family-friendly minivan, you are sure to find the exact vehicle that you are looking for in our extensive new Toyota and pre-owned inventory. 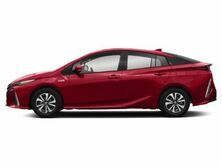 Our selection of new Toyota models includes the award winning Camry, Corolla, Rav4, Prius, Tundra, Tacoma, Sienna, 4Runner, Highlander, Yaris, Avalon, Land Cruiser and Sequoia, and our used cars for sale include a variety of makes and models to suit most styling preferences and budgets. If you are in the market for a new or used car near Bangor, ME, it is worth crossing the river to see what we have to offer! As a full-service Toyota dealership, you can count on Downeast Toyota for all of your automotive needs. In addition to new and pre-owned car sales, we work with over 25 local lenders to help you secure an auto loan. Our Toyota Service Center is fully equipped to keep your vehicle in perfect working order, and we carry genuine Toyota parts in our Parts Department. We are also home to Downeast Auto Body, Maine’s only Toyota Certified Collision Center, and Downeast Toyota Rental, the Bangor area’s source for Toyota rental cars. As a family owned and operated dealership, we pride ourselves on our courteous and professional customer service, and have spent decades building lifelong relationships with customers from all over the state of Maine including Bangor, Waterville, Machias, Auburn, Lincoln, Bar Harbor, Hampden, Calais, Winterport, Ellsworth, Orrington, Millinocket, Holden and beyond. Come visit us at our location in Brewer, ME to see why so many people have made Downeast Toyota their dealership of choice! Like, follow and get to know us!